This is our final part of the "Experts Reveal: Three Great Breakfasts, Lunches, and Dinners for Weight Loss" series! Last week we spotlighted Certified Personal Trainer & Weight Loss Coach, Bianca Meehan. This week Marisa Watson, Certified Personal Trainer, Crossfit coach and certified yoga instructor is sharing her tips and recipes with us. It has been a pleasure working with these fitness fanatics, and we hope that you have learned some good tips and recipes too! We asked Marisa, “What are your ‘Go-To’ Meals for Breakfast, for Lunch and for Dinner?" So here are another nine more tasty yet healthful meal ideas. We’re giving you three recipes for each meal of the day; 3 for Breakfast, 3 for Lunch and 3 for Dinner. These meal ideas are Marisa’s “Go-To” meals that help her reach & maintain her health & fitness goals (and also can help you reach & maintain your weight loss goals!). It’s hard to figure out what to eat…searching the internet = information overload! So to help you out, we’re giving you some "Real Life" examples of the types of meals that work for our fitness experts. Everyone’s DNA is different, so remember that what works for someone else may not work for you. So you may have to tweak it to your liking and for your DNA…but, when it’s all said and done, if you’re looking to drop the LB’s, incorporating some of these meal ideas will really help you get there! Read on for the Breakfast, Lunch & Dinner Fat Burning Meals that our health & fitness fanatics include in their daily diet! Marisa is a Certified Personal Trainer at Gold's Gym, CrossFit coach at Crossfit Pandora's Box and a certified yoga instructor. Having lived in Colorado Springs her whole life she has participated in an eclectic assortment of activities ranging from horseback riding (barrel racing and polocrosse) to crosscountry and running trail marathons, to yoga, hiking 14ers, shooting, crossfit, olympic weight lifting, and most recently bodybuilding and NPC bikini competitions under Adam Bonilla of Team Elite Physique. Between August and October of 2014 she has participated in 3 NPC shows, never placing lower than 2nd. These included two novice overalls and two second place finishes in open tall class. Fitness has become an integral part of her life. At one point nearly 6 years ago, she had begun having issues with an eating disorder which nearly killed her leading to two separate inpatient hospitalizations at two different treatment centers. Since then, the focus has been more-so on fitness and performance and finding ways to balance overall health with a certain look and physique required in bikini. Meal prep and planning has been essential on the road to recovery. “I keep my meals fairly simple and adhere strictly to my meal plan whenever possible. I find for me I am able to stay on track with my recovery if I track my food and prep ahead of time. In the off season and while I am trying to build muscle I do allow myself some wiggle room so long as snacks or going out to eat still fits in my meal plan- otherwise I have known myself to restrict eating that day to compensate for other calories. It is a fine line between becoming obsessive about my meal plan and being able to still reach my goals and stay in recovery. For that reason, my meals are very plain and simple. "When I was eating strictly paleo this was my favorite! IF you are watching your fats opt for turkey bacon instead." Add onions, bell peppers, and sweet potatoes and cook until veggies are soft and sweet potatoes start to crisp a bit. Chop bacon and add back to the mixtures. Add in eggs (either scrambled or I like them whole for a runny yolk) and cover till eggs are cooked to your liking. "This is a recipe I modified from PaleOMG.com to fit my macros and give me a complete breakfast." Combine all ingredients in a microwave-safe bowl and mix well. Put in microwave for 2.5-3 minutes, sprinkle with cinnamon and enjoy! All you do is take all your chicken breasts, put them in the crock pot with fresh rosemary, black pepper, garlic powder and a little salt and cover everything with water. 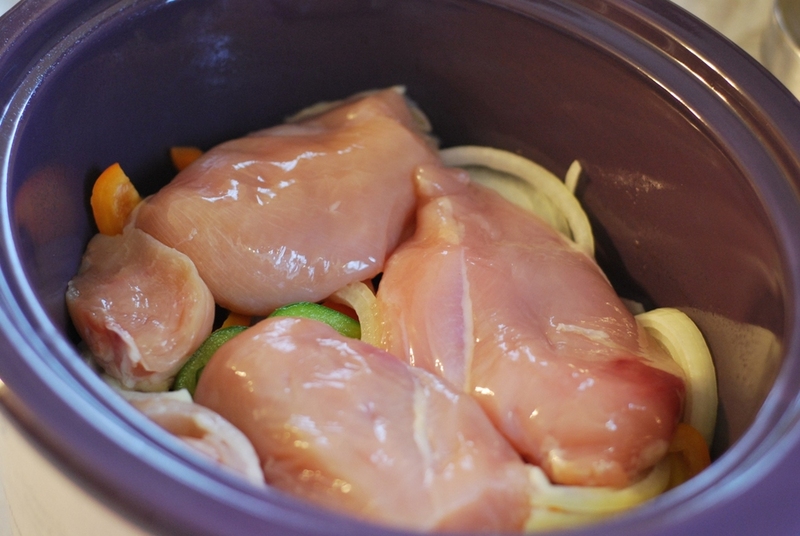 Cook on low for 4-5 hours and you have chicken for a week! Always try and precook your chicken, sweet potatoes, and pre-chop your vegetables so all you have to do for prep is weigh and measure your portions. "Another way to make easy proteins is ground turkey muffins." Add an optional egg white to hold everything together. Cook for 20 min at 350 degrees. Lunch Side, Recipe #3: Sweet Potatoes! "The majority of my carbs consist of sweet potatoes so often I will have to mix it up and often make savory versions of them. I always boil them and mash them but love using fresh herbs (thyme, rosemary, garlic, basil,) to make them savory. I also found that they are amazing with thai green curry powder! I get a blend from a local spice shop and just mix it in. For a more sweet, dessert style sweet potato with my evening meal I'll mash them with almond milk, vanilla, pumpkin pie spice, and cinnamon." “Dinner is the one meal I don't usually prep ahead of time unless I will be at work or working out later in the evening. I keep my carbs lighter here opting for baked winter squash or parsnips instead of sweet potatoes (it also adds a little variety!). “I will also do a pot roast in the slow cooker as well using a dry rub." Sear on all sides in a pan before putting it in the slow cooker. Cook on low for 4 hours (depending on the size of the roast). Another way to season it is to cut a few holes in the roast before searing and filling them with a sliver of garlic and a sprig of fresh rosemary then sprinkling the whole thing with black pepper. Sprinkle with Cajun seasoning and cook covered till the veggies begin to brown just slightly. Sautee olive oil, garlic and onions in a pan until they’re soft. Add spinach and craisins and cook until spinach is slightly wilted. I hope you enjoy Marisa’s great recipes and tips as much as we have! It’s been a pleasure having our fitness fanatics guest post on BraveAngel.com! Next week starts our “Real Life” series, but this time around (instead of recipes) we are bringing you workout routines!! Marisa has one last farewell note for you too!